Looking for an affordable hunting or wildlife spotting scope that offers high performance and great specs? As our Redfield scopes review shows, you’ll do well to better the Rampage. If you are serious about hunting or tracking animals in their natural environment, you need a good spotting scope. Redfield, the choice for many hunters looking for high-spec optics, were bought up by Leupold, who have been making industry-leading optics, including spotting scopes. With that kind of background, it’s not surprising that the Redfield Rampage spotting scope is exceptionally popular. You’ll know that if you’ve been reading other Redfield scope reviews. In our own Redfield Rampage review, we want to give you a balanced view of this scope, covering the good and bad. Get Out There and Spot Some Wildlife! To understand whether the Redfield Rampage is a good deal or not you need to think about what you get for the price tag. Although it is more affordable than parent company, Leupold’s high-end scopes and optics, it does come complete with great accessories to get you started. 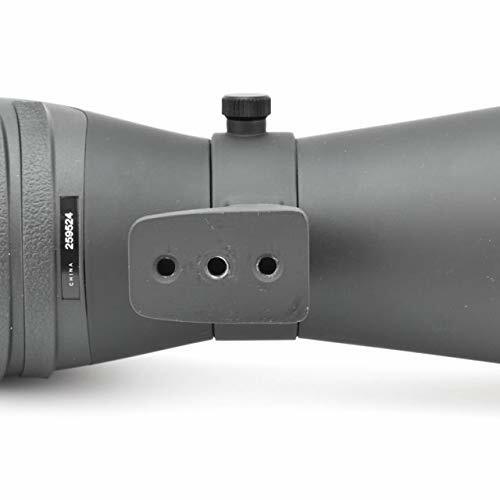 Whether you’re hunting or just wildlife spotting, the 20x to 60x range of magnification, the objective lens of 60mm and the fact it comes with two cases, one of which enables you to use it, makes this worthy of consideration. Let’s look at each of the main features separately now. It may not be as big as others on the market, but the objective lens on the Redfield Rampage spotting scope is wide enough at 60mm. It makes it easy enough to focus on objects that are as close as 19.8-feet away. The 20 to 60x magnification again is lower than others on the market but given that you’d have to pay around two or even three times as much, the Rampage will suit tighter budgets. 20 to 60x is still enough though to provide crisp and clear images at any power. Zooming is simple to do, and you are rewarded with lots of contrast and brightness regardless of how much you zoom in. One little, tiny flaw that needs to be noted is the small amount of image shift that occurs when adjusting the zoom to the highest magnification. It does not, though, affect the overall usability of the Redfield Rampage. The field of view offered is just above average, with you having 114-feet using 20x from 1,000-yards and 51-feet when using 60x at 1,000-yards. Considering the economical price tag of the Rampage, the focus and optics on this Redfield spotting scope are rather good. The use of BaK-4 glass prisms and multi-coated optics make this have the same design demands as high-end and more expensive models. The surfaces exposed to air have been treated with numerous layers of special coatings and the scope offers an impressive 14 to 17m eye relief. With the use of top quality BaK-4 prism lenses, the Redfield Rampage was never going to have bad light-gathering capabilities. It more than exceeds expectations though and its twilight factor is particularly excellent, providing between 34.6 to 60, depending on the settings of the zoom you use. It can be used, therefore, in low light very easily. As there is a retractable lens shade built into its design, it is also easy enough to use in brighter light conditions, without suffering much glare. At 37-ounces, the Redfield Rampage is hardly what you would consider heavy. The manufacturer has utilized lightweight materials excellently so that if you want to, you can hold it. Of course, it’s not necessarily designed for that, but at least it’s possible and make it relatively easy to transport. The housing also has the benefit of subtle texture, with great ridges along the bottom of the back to make it easy to hold firmly. Predominately though, you would use this scope on either a tripod or pistol grip. It’s not just the body of the mounting that has texture, as the focus and zoom controls are stippled to ensure you can adjust them easily without issue. That is even if you are wearing gloves or have slippery or wet hands. If it wasn’t quite enough already to make this a great choice, that Redfield has made it lightweight and given it high-quality optics, there’s the fact it’s incredibly simple to use. Take the focus and zoom wheels, for instance, that have the desired amount of friction that allows you to select your preferred focus and view without it adjusting from accidental slips and bumps. 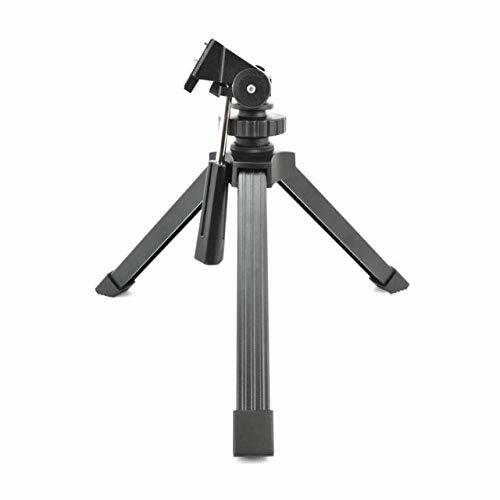 The tripod mount has also been designed to make it easy to attach the scope to a window mount or camera tripod. So, you have the versatility to choose the option that suits you best. Recommended Next: Did this scope make it onto our list of the very best? Find out in our top picks of the year. We mentioned earlier that it was lightweight, but that has not been done at the expense of it being strong and durable. The Redfield Rampage spotting scope is constructed from polycarbonate, the same material used to make bulletproof glass. So, it is very rugged and durable. The cover that has a see-through window gives it an extra layer of protection. As is standard in many scopes, the lenses have a nitrogen-charged chamber for the optics and an O-ring seal for water and fog proofing. There’s a lifetime warranty to ensure peace of mind too. So, what can we conclude about the Redfield Rampage Scooping Scope? 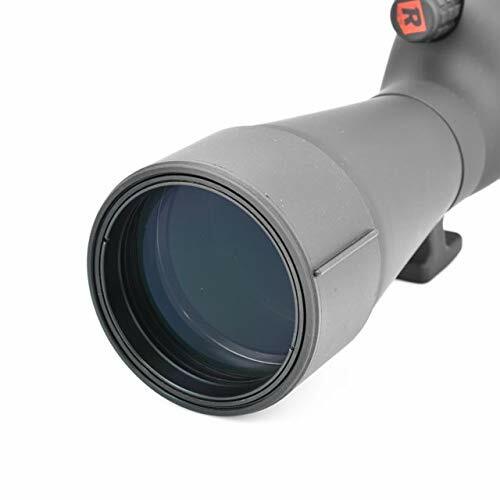 Whether you’re looking to score big when hunting or just want to be able to spot those elusive birds and other wildlife, regardless of conditions, the Redfield scope will not let you down. 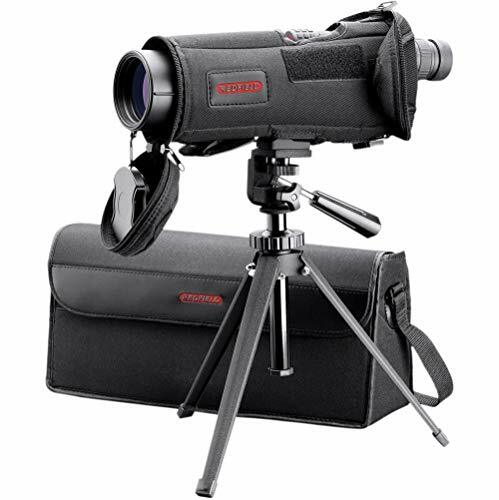 Redfield spotting scopes reviews like this one all seem to agree that it is a tough and affordable optic that still gives you access to incredible features. There are many different Redfield scopes for sale, but if you do not want to spend too much on a scope, we think there are not much better in the price range than this model. An awesome entry-level spotting scope.